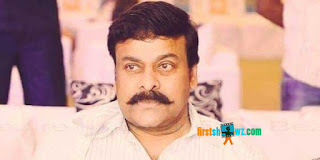 Mega Star Chiranjeevi's 151st film touted to be the remake of Kaththi in the direction of VV Vinayak is finally set for a launch on April 15. The movie will be launched with a formal pooja ceremony. VV Vinayak has completed the script work, along with writer-duo Paruchuri Brothers, and the makers are currently finalizing the cast and rest of the crew of the film. Ram Charan will produce this action-entertainer under a new banner. Chiranjeevi is now busy with his daughter Srija's wedding arrangements to be held on March 28 in Bengaluru. VV Vinayak’s last film Akhil bombed at the box-office, and he is hoping to bounce back with Chiranjeevi's Kaththi remake.